For the first time in school history, a Biola intramural team took on champions from three different schools. 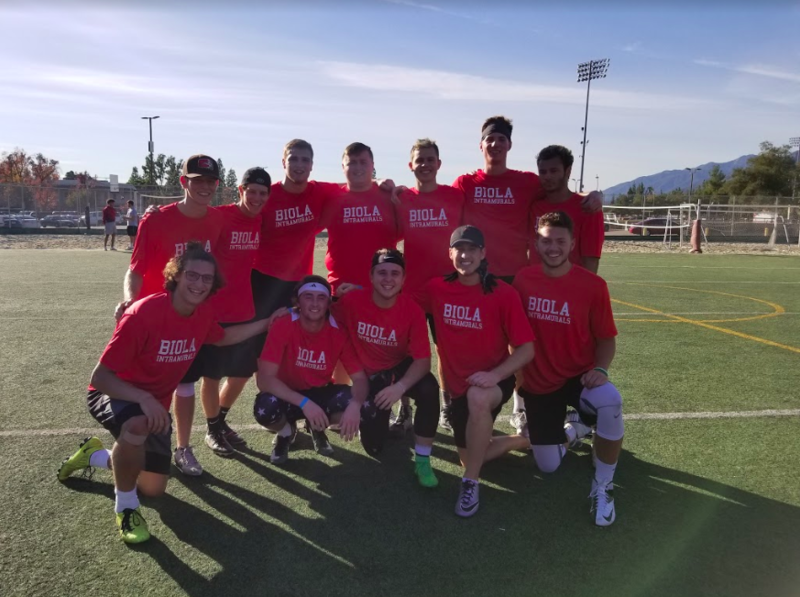 Before men’s and women’s basketball headed to Azusa Pacific University for their rivalry games, a Biola intramural team entered into a flag football tournament at APU on January 19th. For the first time in the school’s histories, APU, Concordia and Vanguard Universities along with Biola brought the champions of each of their flag football intramural leagues into one final tournament. 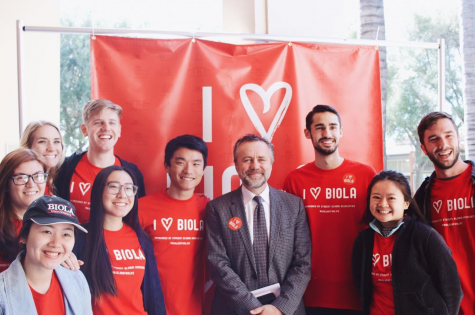 Biola’s champions, the “Jehovah’s Witnesses,” came into this four-team contest with a chip on their shoulder, eager to represent their school. Student Programming and Activities coordinated the event with similar programs from the other three universities, setting the precedent for more cross-school competitions in the future. Momentum towards a multi-school tournament started when APU’s director of intramurals reached out to SPA, according to SPA intramural coordinator and junior communication major Landon Hawley. “We would send our championship team and they would send their championship team, and so we went back and forth a little bit with them, and then they ended up bringing in Vanguard and Concordia,” Hawley said. The players were all in good spirits the day of the tournament, despite the outcome of the games. Senior political science major Luke Johnson, also an SPA intramural coordinator, said the losses did not ruin his enjoyment of the day. 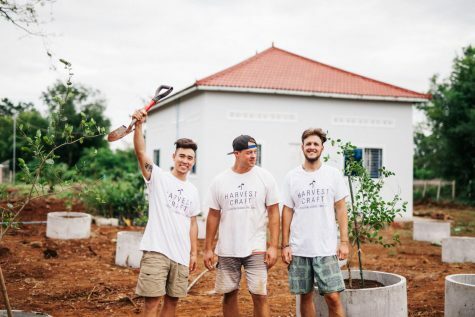 “The day was kind of a lot of reaping our rewards of all the work we put in, kinda like marveling at the stuff we did which was really fun, and supporting our team. We got to wear the shirts and come and be a Biola face and have a good time,” Johnson said. 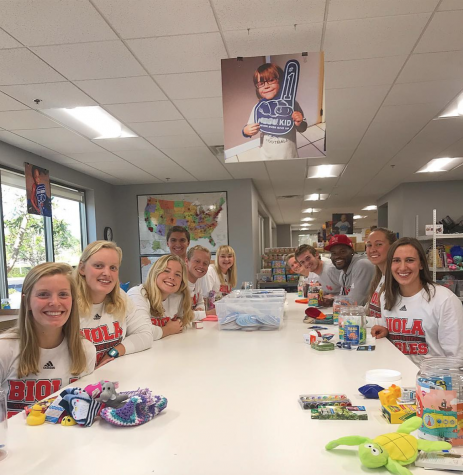 Even though APU brought out their flag football champion team during the timeout of their men’s basketball game against Biola later that night to rub more salt on the wound, both Hawley and Johnson praised the work that APU put into hosting this event. Senior marketing management major Colton Olson, Jehovah Witnesses’ captain, was impressed with the level of play between the schools and the people involved. SPA’s planning with the intramural coordinators at APU proved a big factor in helping the event run smoothly, according to Olson. Hawley hopes that collaborations like this within intramural sports, not just football, will continue for years to come. “We are working particularly towards volleyball and basketball that me and the coordinators are excited about. We are open to expand and Azusa appears open to expand as well,” Hawley said. 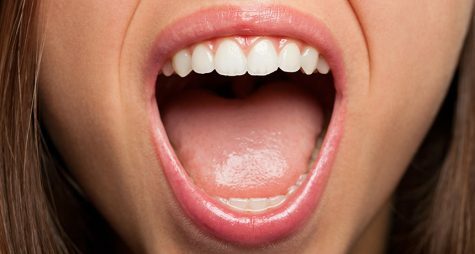 Austin Green contributed to this story.